The Samsung Q900R is an excellent 8k LED TV with impressive picture quality. It can very bright both in SDR and in HDR. Although it has a VA panel, it has wide viewing angles due to the 'Ultra Viewing Angle' layer that maintains an accurate image when viewed from the side at the expense of lower contrast. 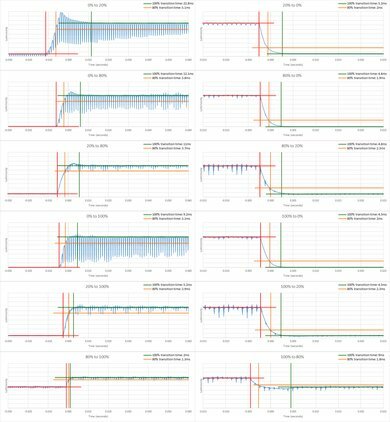 Despite the low native contrast ratio, dark room performance is greatly enhanced by the very good local dimming support. It has great HDR performance and very good reflection handling. The Q900 has excellent motion handling and a very low input lag. Finally, just like all premium Samsungs since 2018, the Q900R has FreeSync variable refresh rate support. Wide viewing angles, great for a VA panel. Great local dimming and dark room performance. A lot of dirty screen effect is evident on the screen. Update 4/2/2019: It was discovered that HDMI 4 supports 8k @ 30 Hz @ 4:2:0 and 4k @ 120 Hz @ 4:2:0 via HDMI 2.0, explained here. The review has been updated. The Samsung Q900 is a high-end TV. 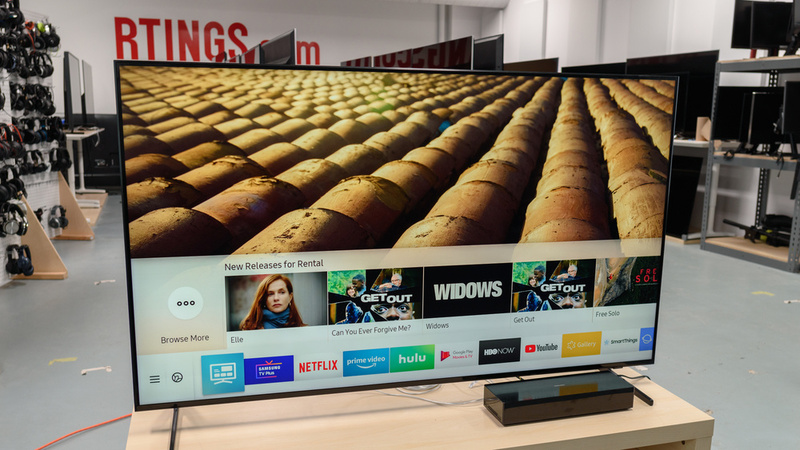 It is the first 8k TV in the market and is currently just above Samsung's 4k flagship, the Samsung Q90R. The direct 8k competitors of Samsung Q900 are expected to be the Sony Z9G and the LG SM9975. The Q900 marks the opening of a new era of 8k TVs. The Samsung Q900 has an excellent design. 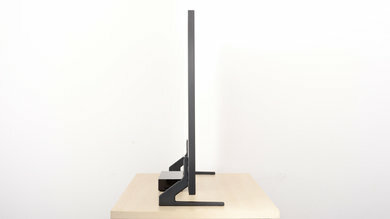 It is mostly made of metal and it has a very sturdy stand that supports it well. 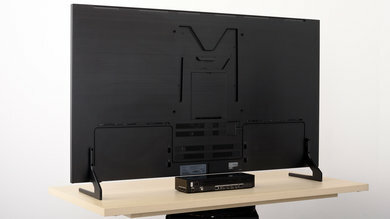 It is very thin and can be wall mounted using a standard VESA wall mount, or a separately sold wall mount that will bring it flush with the wall. Both the TV and the included One Connect box get fairly warm, but this should not be an issue. The overall build quality is excellent. The Q900R's stand is very sturdy, supports the TV very well, and does not allow almost any wobble. 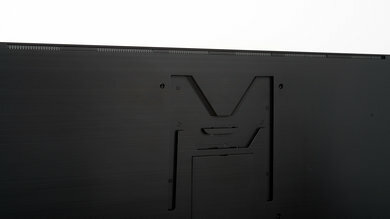 The footprint of the stand is: 51.0" x12.0"
Update 04/17/2019: There are two leg positions (the screw mount for the inner location is visible in this photo). This narrower footprint is 18.1" x 12.0". The back of the TV is plain. The large gap that looks like an "M" is used for storing the legs if you decide to wall mount it. Samsung separately sells a special no-gap wall mount that holds the TV flush with the wall. The Q900RB uses a One Connect box that sends all necessary signals (including power) to the TV through one single cable. 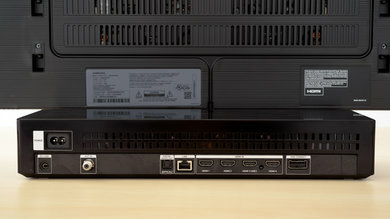 The back of the TV has grooves that serve as cable management and guide the One Connect cable either through the legs or at the center of the TV, as you can see here. Also, this is a link to Samsung's no-gap wall mount for 75" QLEDs which seems to be compatible with the Q900, although it's not mentioned in the supported models in the specs document. The borders of the Q900R are made of metal; they're very thin and look good. 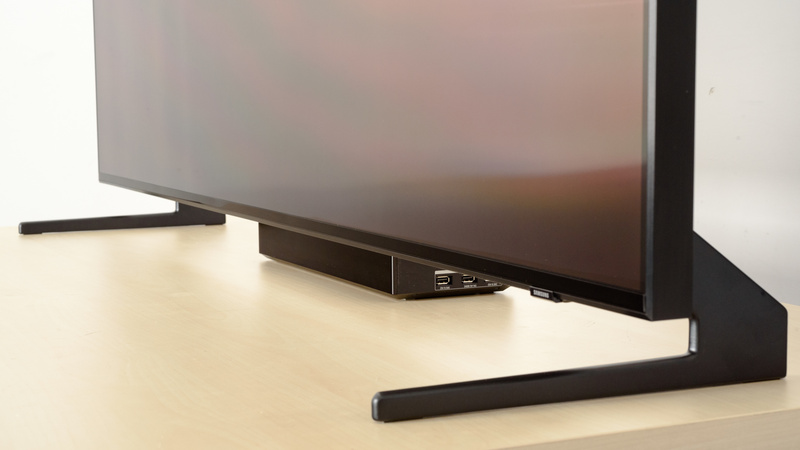 The Samsung Q900 is very thin and will not stick out much if you wall mount it. 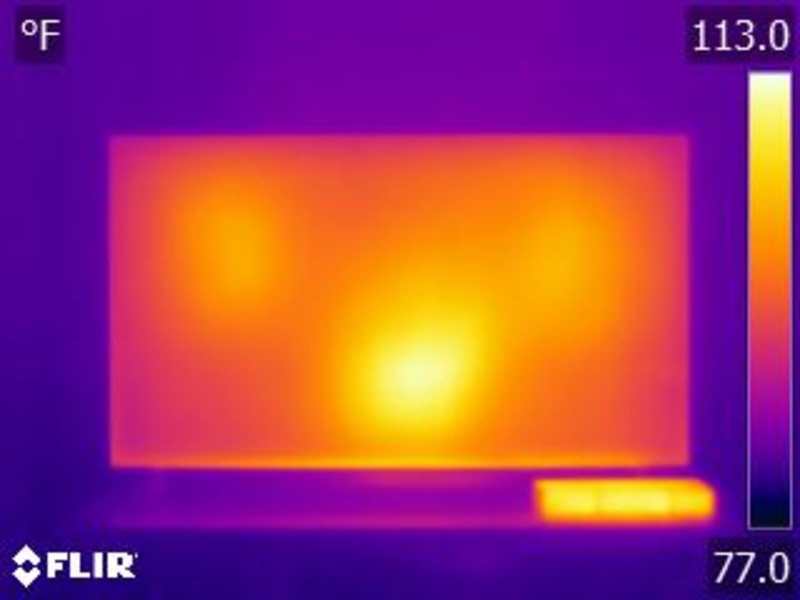 The Q900R can get fairly warm, as you can see in our thermal image; it's much warmer relative to the Q9FN. This may be because the 8k panel blocks more light, thus requiring the backlight to be brighter. It could also be due to the TV's 'Ultra Viewing Angle' layer, which projects more light to the sides, so more powerful LEDs may be required. The max temperature of the One Connect box is also quite warm at 110F, but this shouldn't be an issue. The build quality of the Samsung Q900 is excellent. It's very similar to the Q9FN or the Q9F, but the place where the back panel meets the side bezels has some flex to it and they're not joined one to one. However, you should have no issues with the TV. The picture quality of the Samsung Q900 is impressive. The TV can get very bright to overcome glare, making it suitable for a bright room. It has an 'Ultra Viewing Angle' optical layer that greatly improves viewing angles at the expense of contrast ratio, similar to what the 'X-Wide Angle' does to the Sony Z9F. The TV has very good local dimming support that helps improve the appearance of blacks in a dark room, despite the low native contrast ratio. It has a wide color gamut, an excellent HDR peak brightness, and can display HDR content full of rich colors and bright highlights.<p>The gray uniformity is satisfactory, although some sports fans might be bothered by the amount of dirty screen effect found on the Q900. Reflections are great but are also affected by the new 'Ultra Viewing Angle' layer that scatters light across the screen, creating more indirect reflections. Finally, the new 'Ultra Viewing Angle' technology makes this TV suitable for a room with a wide viewing arrangement, since the image remains accurate at fairly large viewing angles. The native contrast ratio of the Q900R is only decent, but the TV's great local dimming helps compensate for this. The native contrast ratio is far lower than most TVs with VA panels. 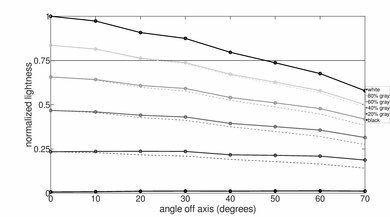 This is because of the TV's 'Ultra Viewing Angle' layer that improves the viewing angles at the expense of contrast ratio. This is very similar to what we observed with the Sony Z9F and the 'X-Wide Angle' technology. Unfortunately, the TV's local dimming can't be completely disabled using the normal settings menu. In order to measure the native contrast ratio, we had to disable PC Mode Dimming in the TV's service menu, and then activate PC Mode and Game Mode at the same time. "Reverse blooming" (we've seen this in the past on Vizio TVs) where the TV, in its effort to reduce blooming in the dark areas, dims the edges of the bright ones. This makes them end up with a vignette around them. The TV greatly dims small bright areas (even more than the Q9FN). The TV crushes stars. This is not done to the extent of the Q9FN, but still worse than the Sony Z9F. Some more blooming into the black bars of the Q900R are shown here. When you look at the TV from the side, the good black level viewing angle prevents blooming from getting worse. This is significantly better behavior than most TVs with VA panels and explains why the local dimming video (which is shot at an angle) looks better than it actually is. Unfortunately, just like all the latest Samsung TVs, you can't completely disable the local dimming on the TV. Even when set to 'Low' it can be distracting. If you watch movies with subtitles, this can be a problem. Game Mode uses a slightly different local dimming algorithm which doesn't react as fast to changes in a scene and lingers longer. This can create visible blooming in some cases. We are not sure why this is the case. 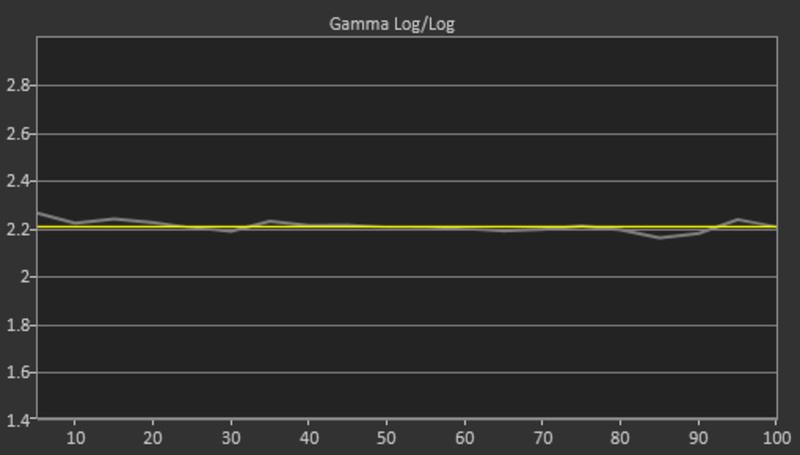 The Samsung Q900 has excellent SDR peak brightness, just slightly less than last year's QLEDs.  Small highlights in dark scenes are very bright as our 2%, 10%, and 25% windows show. Since the brightness varies depending on the scene, this might become bothersome for some people. The TV will perform very well in bright rooms as it can easily fight glare. The setting that controls the brightness of the backlight is called Backlight. The HDR peak brightness of the Q900R is excellent. The TV can get very bright and will deliver bright highlights when displaying HDR content. We performed our measurements without any calibration, picture mode set to ‘Movie,’ local dimming set to ‘High,’ and Auto Motion Plus set to 'off,' which are also our recommended settings. However, when the TV is in the 'Dynamic' picture mode, it is able to reach a maximum of 1940 cd/m2 but has much worse picture accuracy. The gray uniformity is decent.  In the 50% gray image, there are several spots where the dirty screen effect is evident. This might bother you when you watch anything with large areas of similar color, like a football field. The darker 5% gray image is much more uniform and will not cause any issues in darker scenes. The viewing angles are very good. When you look at the TV from the side, the image remains accurate for a fairly large angle. The black level, especially, never goes too high, which this prevents the image from looking washed out. This behavior is usually found on IPS panel TVs. The Q900 uses a VA panel, but it also has an optical layer that Samsung calls 'Ultra Viewing Angle.' This optical layer greatly improves the viewing angles at the expense of lower native contrast ratio.  This 'Ultra Viewing Angle' technology appears to work similarly to the 'X-Wide Angle' technology found on the Sony Z9F. The black uniformity of the Q900R is good. 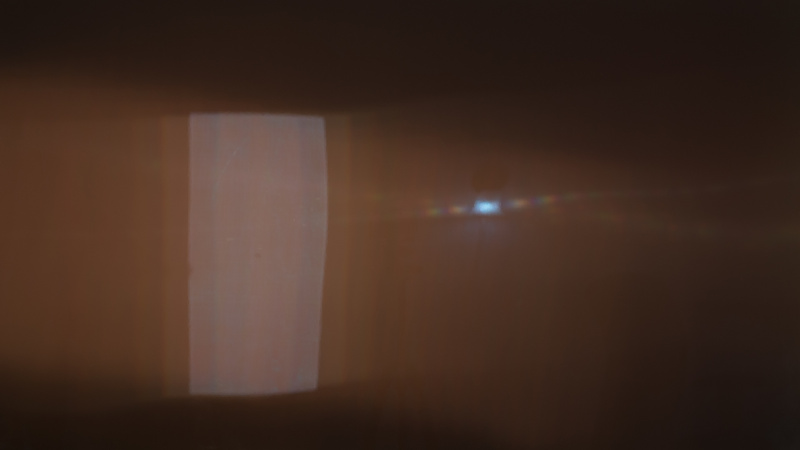 In our overexposed image, you can spot some blooming, but this is not really noticeable in normal content unless you watch a very dark scene in a dark room.  Local dimming greatly improves the black uniformity in some scenes. Unfortunately, the TV's local dimming can't be completely disabled using the normal settings menu. 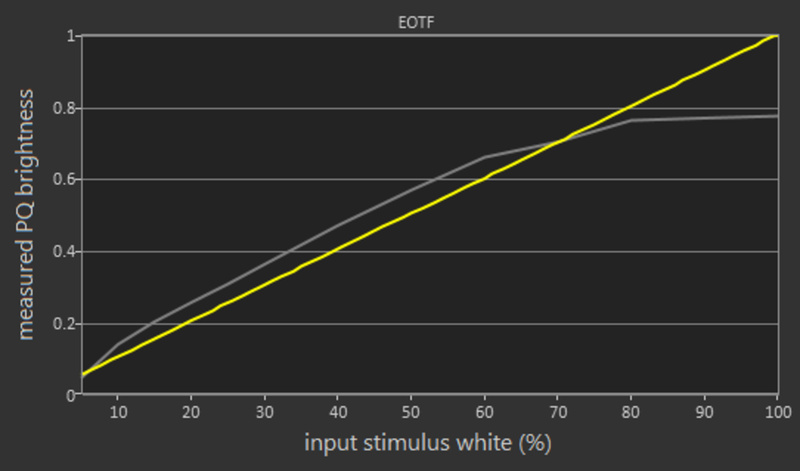 Just like in other measurements, in order to measure the native black uniformity, we had to disable PC Mode Dimming in the TV's service menu, and then activate PC Mode and Game Mode at the same time, which allowed us to turn local dimming off. The reflection handling of the Q900R is great. The semi-gloss finish of the TV prevents most reflections from distracting you. However, the 'Ultra Viewing Angle' layer has the downside of scattering light across its surface, producing rainbow reflections across the screen. This is similar behavior to the 'X-Wide Angle' of the Z9F. Compared to the Q9FN, the direct reflections are less, and this is why the bright lights in the photos don't look so bright. 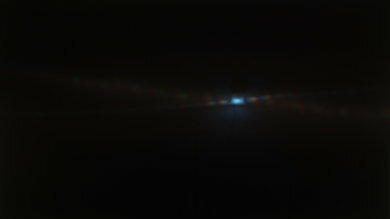 The area around the lights, however, is brighter due to the indirect reflections. The out of the box color accuracy of the Q900 is great. The Picture Mode that gave us the best results is the 'Movie' picture mode. The White Balance dE and Color dE are quite low and only enthusiasts will notice the inaccuracies. The color temperature is a little warm and the gamma follows the target quite well, thus the image has just the right brightness. The Samsung Q900 has excellent color accuracy after calibration. The White Balance dE and the Color dE are so low that even enthusiasts will need a colorimeter to spot any remaining inaccuracies. The gamma tracks the curve well and the color temperature is brought closer to the target of 6500K. Lower resolution 480p content like DVDs is upscaled well, with no obvious artifacts or quality issues. 720p content such as cable TV looks good. 1080p content, including Blu-rays and non-4k console games, is displayed well. The TV is upscaling 4k to 8k, so there are some fine upscaling artifacts, but this is not noticeable at a normal viewing distance. We are planning on doing a larger comparison of 8k vs 4k in a separate article soon. Also, on a future test bench update, we plan to add an "8k Input" box to evaluate 8k performance. The Q900 has a wide color gamut. It is a bit less than most of the 2018 QLED TVs, like the Q9FN and Q8FN, and closer to the Q6FN. 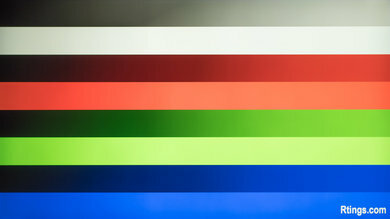 It is possible that the TV's 'Ultra Viewing Angle' optical layer is reducing its color gamut. 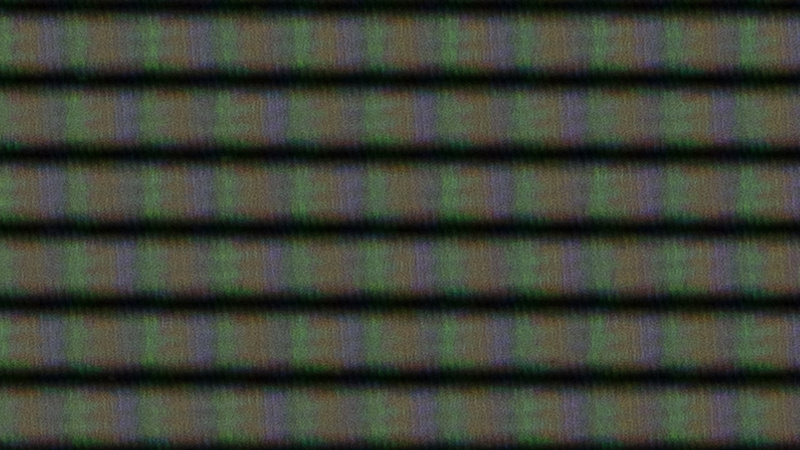 In HDR, the TV overshoots the target PQ curve when shown a small highlight and Local Dimming is set to 'High' (seen in the measurement above), but has an accurate PQ curve when shown full-screen shades. This means that most of an HDR scene will be shown with the proper brightness, but small bright areas will be too bright. In case you find HDR too dim, you can raise the PQ curve by setting Brightness to '5' and Contrast Enhancer to 'High'. This will produce this PQ curve. Update:4/18/2019: We found out that setting Gamma to '3' doesn't raise the PQ curve, so we removed it from our recommended actions for making HDR brighter. The text has been updated both in this box and in the settings page. The color volume of the Q900 is decent. It has good coverage of the DCI P3 color space, but coverage of the wider Rec 2020 is just okay. This performance is not as good as last year's QLEDs, as you can see in the color volume boxes of the Q9FN and the Q8FN. This is mostly the result of a narrower color gamut when compared to last year's QLEDs. The gradient of the Q900R is very good. Some slight banding is visible almost everywhere, and there are some areas where there's moderate banding, like in the dark gray and the dark green. Unfortunately, during testing, the TV's local dimming (that can't be disabled) interfered with our gradient test, tampering with the data and making it score a bit worse than it should. However while not perfectly accurate, the score is still within the same ballpark as our subjective impression; we compared the Q900R (top) with the Q9FN (bottom) and confirmed this. 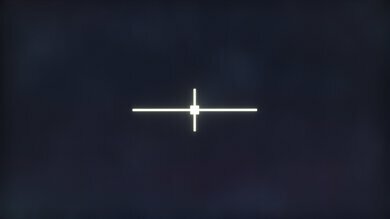 There is no temporary image retention on the Q900. 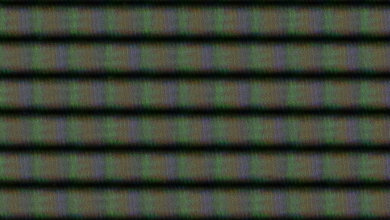 Unfortunately the TV's 'Ultra Viewing Angle' optical layer makes the pixels hard to see clearly. It is interesting to compare this photo to the photo of the 'X-Wide Angle' layer of the Sony Z9F. The Samsung Q900 has excellent motion handling. The response time is extremely fast and there is very little persistence blur trail. The backlight is better than the 2018 QLEDs, and flickers at the very fast frequency of 960Hz in most modes. It is so fast that it is almost impossible to perceive. It also supports a Black Frame Insertion feature, which can lower the flicker down to 60Hz in Game Mode to help game motion appear crisper. The Q900R can interpolate lower frame rate content up to 120Hz, even in Game Mode, and can remove judder from any source. Finally, just like most premium 2018 models, the Q900R supports FreeSync variable refresh rate. The Q900 has an extremely fast response time. Fast-moving objects will only have a small blur trail and the only transition with significant overshoot is the 0-20% transition, which corresponds to very dark shades. The Q900R uses PWM dimming to dim the backlight. Flicker is always present and becomes more severe at lower brightness. However, the flicker frequency is 960Hz and you most likely won't see it. The TV was tested in 'Movie' mode with Auto Motion Plus disabled. 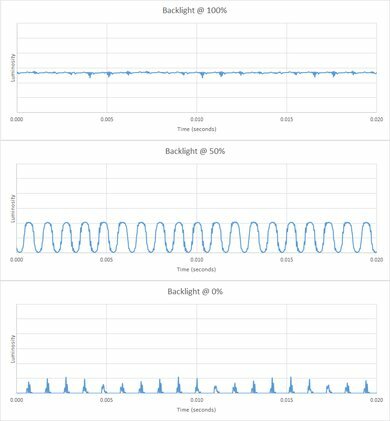 There are many instances where the flicker rate changes to 120Hz, like in 'Movie' mode with Auto Motion Plus set to 'Custom' or 'Auto,' or in 'Standard' and in 'Game' modes when it is at 120Hz all the time, as shown in these plots. The Q900R has an excellent black frame insertion feature to make the image crisper. 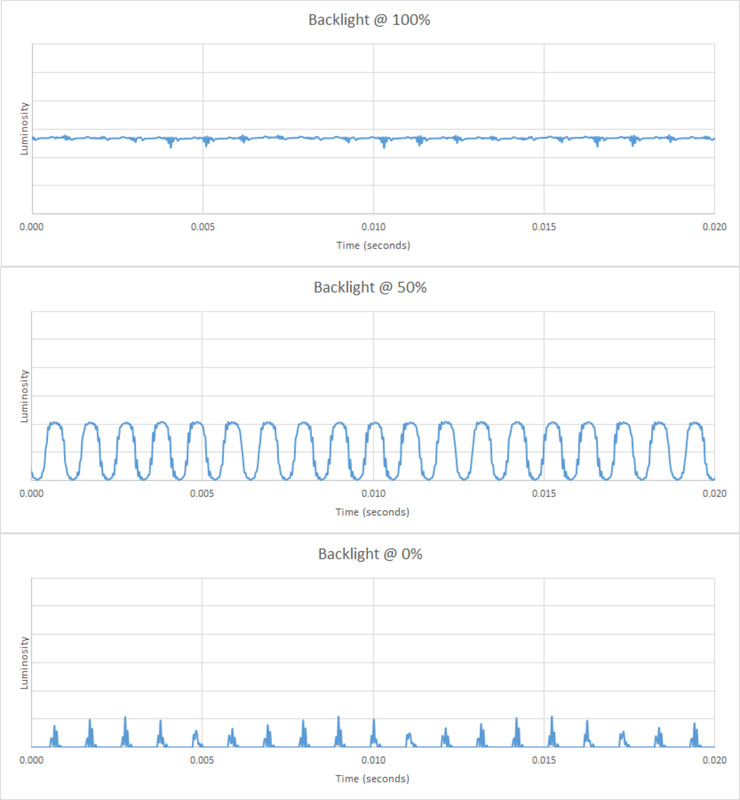 Just setting Auto Motion Plus to 'Custom' changes the flicker to 120Hz, as explained in the Flicker-Free box. If you do not want motion interpolation you should disable 'Blur/Judder Reduction.' If you enable LED Clear Motion, the flicker changes to 60 Hz. In 'Game' mode, the flicker frequency is always 120Hz, and enabling LED Clear Motion in Game Motion Plus changes the flicker frequency to 60Hz. The TV is capable of interpolating content up to 120fps. To enable motion interpolation (soap opera effect) you must set Auto Motion Plus to 'Custom.' Blur Reduction is the slider that affects high frame rate content (ex. 60 fps). 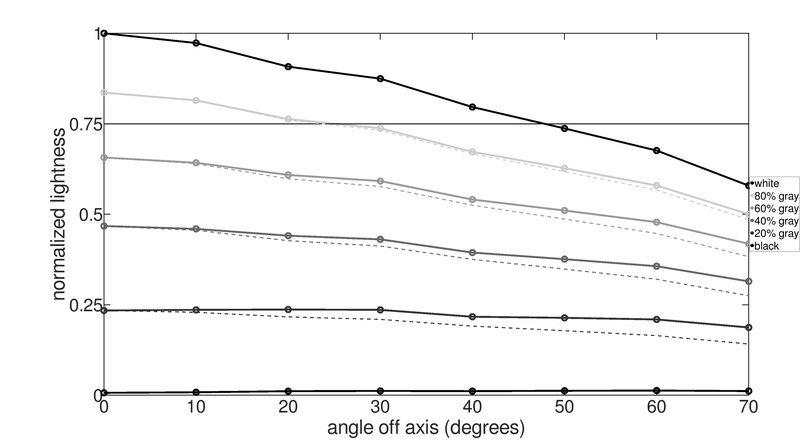 Judder Reduction is the slider that affects low frame rate content (ex. 30 fps). To obtain the best possible result you should adjust those sliders to your liking. For our test, we kept both at max. In 'Game' mode, there is a Game Motion Plus option, which, however, doesn't look as good, but adds far less input lag. You can read more about it in the Input Lag box. Note: When Auto Motion Plus is enabled, the TV's flicker changes to 120Hz, as explained in the Flicker-Free box. 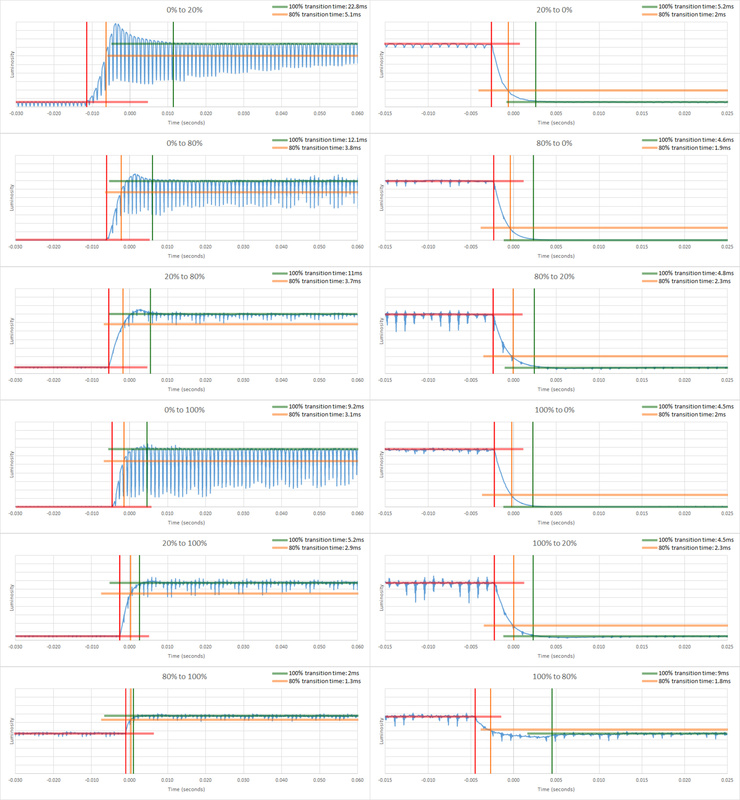 The Q900 has some stutter due to the very fast response time. If you find this stutter bothersome, you can use the motion interpolation and BFI features of the TV. The Samsung Q900 can remove judder from any source. To remove judder set Auto Motion Plus to 'Custom,' and Blur / Judder Reduction to '0/0' (if you don't want motion interpolation). The Film Mode setting does not remove judder from 60i sources. Instead, it appears to do a form of frame blending. We recommend leaving it 'off' unless you like the effect. Note: When Auto Motion Plus is enabled, the TV's flicker changes to 120 Hz, as explained in the Flicker-Free box. Update 04/08/2019: It was discovered that HDMI port 4 supports 8k @ 30 Hz @ 4:2:0 and 4k @ 120 Hz @ 4:2:0 via HDMI 2.0, as explained in the Supported Resolutions box. FreeSync can be enabled when the TV is receiving 4k @ 120 Hz, but with our current tools we can't confirm if it works properly, or what its range is. Original text: The Q900 supports FreeSync, which is great for gamers with compatible hardware or an Xbox One. The lack of a DisplayPort on the TV does not allow FreeSync to work with current NVIDIA drivers. We tested the TV on 'Game' mode, and we used FreeSync set to 'Ultimate' to obtain the widest possible range. Update 04/02/2019: It was discovered that HDMI 4 supports 8k @ 30 Hz @ 4:2:0 and 4k @ 120 Hz @ 4:2:0 via HDMI 2.0, explained here. The Samsung Q900 has an excellent low input lag in most resolutions, similar to the input lag of the best Samsungs we've tested so far. The TV can maintain a low input lag even with motion interpolation, provided you adjust the proper setting correctly. The Q900 is the first TV we've tested that supports 8k. Unfortunately, we were unable to send an 8k signal to the TV to test its performance as there are no HDMI 2.1 sources currently available. You can read more details in the Supported Resolutions box right below. The Q900 does not support DTS. Update 04/02/2019: It was discovered that HDMI port 4 supports 8k @ 30 Hz @ 4:2:0 and 4k @ 120 Hz @ 4:2:0 via HDMI 2.0, as explained in the Supported Resolutions box. Unfortunately with our current tools we can't test the input lag of 4k @ 120 Hz on this TV. The input lag of 4k with Variable Refresh Rate (FreeSync) will be lower when using 120 Hz, but we can't measure this at present. At 4k @ 60 Hz the VRR input lag is 17.6 ms. Excellent low input lag. The TV is very responsive, which is great for gamers. You must set the TV to 'Game Mode' for the input lag to be low, even when you are in 'PC Mode.' 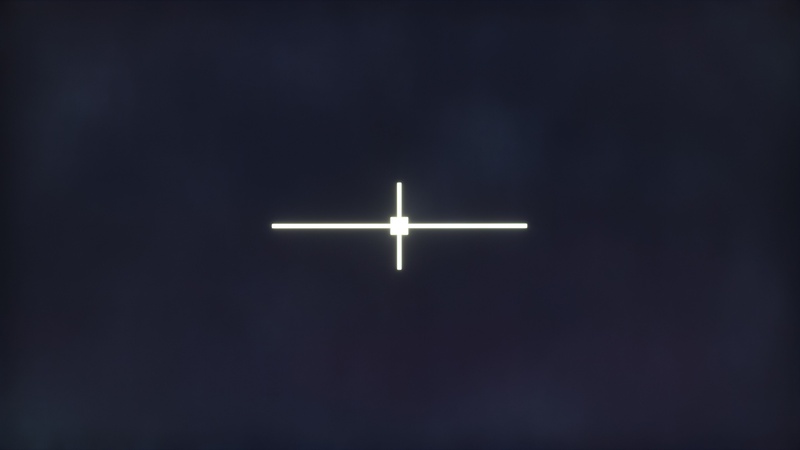 Chroma 4:4:4 is properly shown when in 'PC Mode' (that is when the input's icon is set to 'PC'). Just like the premium 2018 models from the Samsung lineup, the Q900 has low input lag with motion interpolation in game motion plus. When the Judder Reduction slider is increased, the TV interpolates up to 60 fps, and the input lag becomes 32.7 ms which is higher than without game motion plus, but still lower than what it is if you do not enable Game Mode. If the Blur Reduction slider is increased, the TV interpolates up to 120 fps and the input lag increases slightly to 38.8 ms, which is still a good value. Update 04/08/2019: It was discovered that HDMI port 4 supports 8k @ 30 Hz @ 4:2:0 and 4k @ 120 Hz @ 4:2:0 via HDMI 2.0, see below. The overscan we noticed isn't present in PC mode (when the input's icon is set to 'PC'). Update 04/02/2019: It was discovered that HDMI port 4 supports 8k @ 30 Hz @ 4:2:0 and 4k @ 120 Hz @ 4:2:0 via HDMI 2.0 when using our NVIDIA GTX 1060 6GB. There's unfortunately a small amount of overscan when using these resolutions, so a bit of the screen edges are cut off; we don't know if this is caused by the TV or our graphics card. We were initially informed that HDMI port 1 supports HDMI 2.1, but these initial reports were wrong, it is actually port 4. 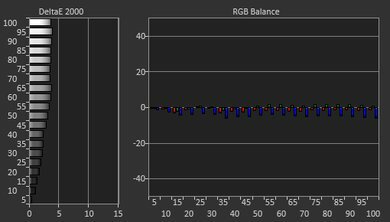 1440p @ 120 Hz has improper chroma subsampling 4:4:4, even in PC mode. This the first TV we've tested that supports 8k. However, we couldn't send an 8k signal to the TV from any of our sources (NVIDIA GTX 1060 6GB, Radeon RX 580, Blu-ray player); 8k didn't even appear in the list of supported resolutions. We created custom resolutions using Custom Resolution Utility for 8k @ 30 Hz @ 4:2:0 and 8k @ 24 Hz @ 4:2:0 but the TV didn't accept them. It displayed 'Mode Not Supported,' which is what Samsungs often display for custom resolutions. According to Samsung, HDMI port 1 supports up to 8k @ 60 Hz, but none of our sources detected this. 8k @ 60 Hz requires an HDMI 2.1 source (which we don't have), but it may be possible for 8k @ 30 Hz or 24 Hz to be supported via HDMI 2.0. We will update the review when we have a source that can send 8k. We were able to play 8k images, but there's no way to confirm that they're being displayed as true 8k, or if they're being shown as 4k. We played the same images on the 4k Q9FN and they played just as well (though they looked worse from up close because of the lower pixel density of the panel). We created an 8k image with a small 1px grid in the center, but the QN65Q900RBF showed the 1px grid as a solid gray. We were able to play an 8k videos on the Q900 that couldn't play on the Q9FN, but this may be due to the better codec support in the 2019 Samsung firmware. Unfortunately, Samsung's YouTube app can't play 8k YouTube videos yet. Update 04/02/2019: It was discovered that HDMI port #4 is the HDMI 2.1 port, not port #1 as previously advertised. The review has been updated. The TV does not support DTS. Also there is no support for eARC, so Dolby Atmos via Dolby TrueHD isn't supported. There is a Dolby Atmos Input setting, so it's likely the QN65Q900RBF supports lossy Atmos passthrough via Dolby Digital Plus sources, such as Netflix. The sound quality of the Samsung Q900 is decent. It can get fairly loud, which is good for most use cases and will deliver well-balanced dialogs. However, the TV lacks bass, so it won't be able to produce any thump or punch. For a better sound, a dedicated sound system is recommended. The frequency response of the Samsung Q900 is mediocre. 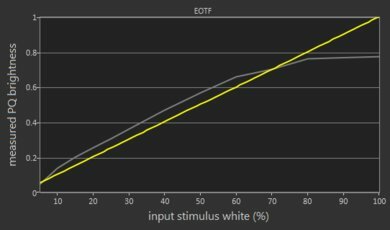 Low-frequency extension (LFE) is at 113Hz, which is poor. This results in a bass without a lot of punch/kick, and lack of thump or rumble. However, the response above the TV's LFE is well-balanced, delivering clear speech. Also, this TV can get loud enough for most use cases. We tested the TV with Samsung's room correction feature called 'Adaptive Sound' enabled. However, we left the 'Adaptive Volume' and 'Auto Volume' features disabled, as 'Auto Volume' drastically limits the max volume, which, on the other hand, reduces the compression artifacts under heavier loads. The Q900 has good distortion performance. The overall amount of harmonic distortion is not too elevated at 80dB SPL and the sound is fairly pure. Also, there is not a big rise in THD at maximum volume compared to 80dB SPL, which is good. The smart features of the Q900R are great. The TV runs Samsung's Tizen smart interface that is very easy to use. 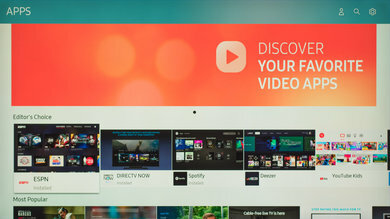 It gives you access to tons of apps through the Samsung app store, sure to cover your viewing needs. The remote control is similar to the ones found on 2018 QLEDs and incorporates well with Bixby, Samsung's smart assistant. 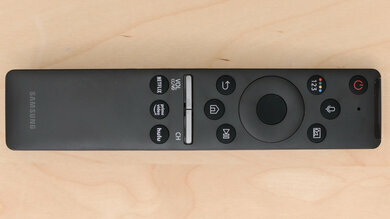 Unfortunately, the remote app that pairs with the TV does not incorporate any improvements for this TV model. The Samsung Q900 runs the latest version of Samsung Tizen smart interface, which is very easy and intuitive to use. We noticed a small bug: sometimes when you change the input icon, the edges of the screen are cut off due to overscan. Just navigating into the Picture Size setting fixes the issue, even if you don't change anything. 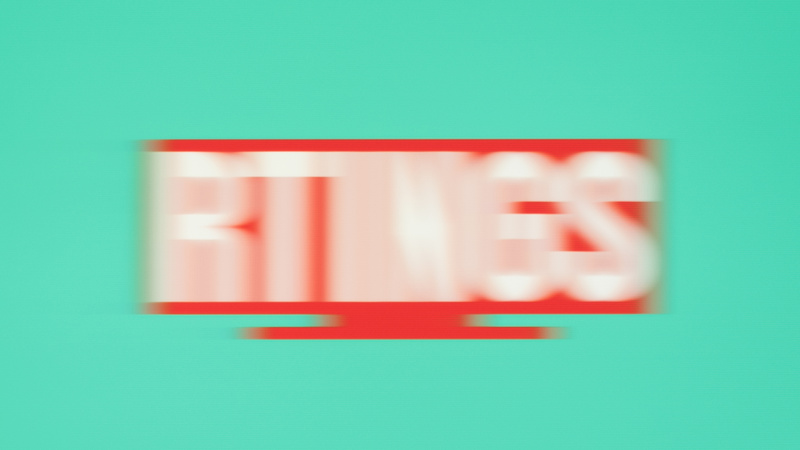 Although we didn't see any ads during testing, we are aware that the appearance of ads is often inconsistent. Samsung TVs have always had ads as seen on the Q9FN here. The smart interface has several preinstalled apps and the Samsung app store has many more sure to match your needs. The apps run well on the QN65Q900RBF, although they are not always very smooth. 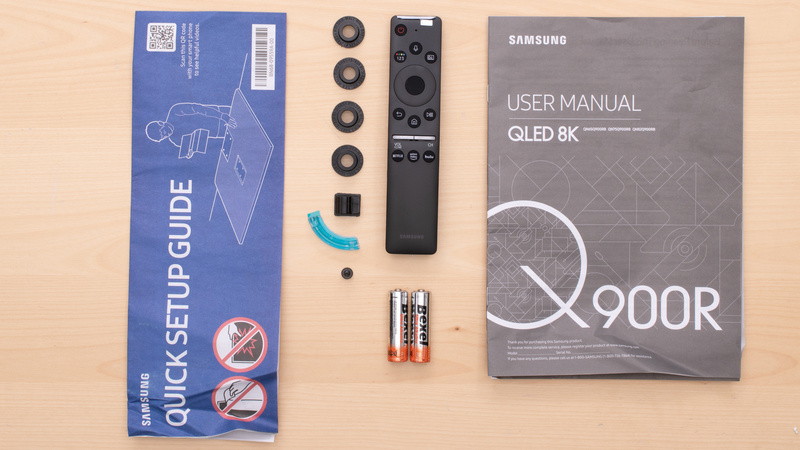 The remote control that comes along the Q900 is very similar to the remote that is included with the other premium Samsung QLEDs. 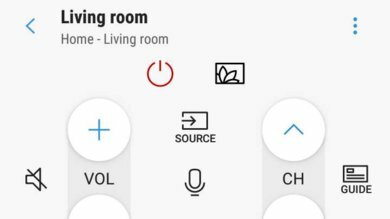 The remote integrates well with Bixby and allows you to control with your voice some TV settings like changing the backlight. You can also ask the TV to answer basic questions like what the weather is like, and you can even launch apps with your voice. Unfortunately, you can't search within apps using your voice, so commands like 'Search Netflix for Marco Polo' will not work. 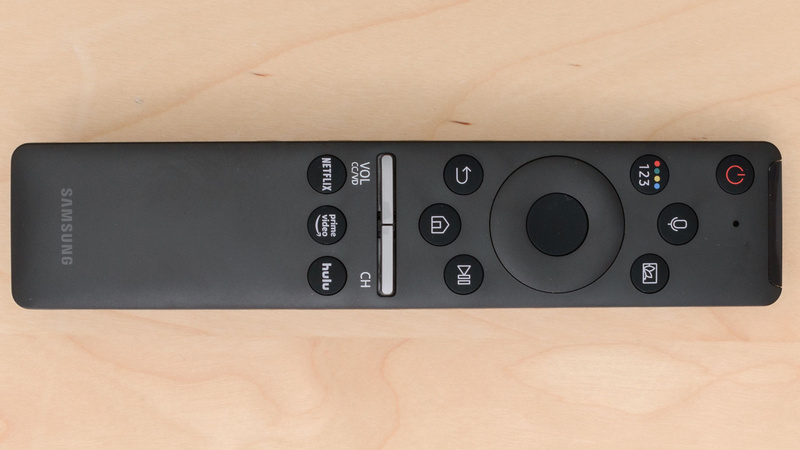 Samsung's OneRemote feature allows the remote to control other devices, even if they don't support HDMI CEC. The remote app is mediocre. The Samsung Smart Things app can connect to a lot of Samsung smart devices, but unfortunately, it does not have many features when using it with a TV. The TV controls are located on the underside, close to the right leg. It allows you to change channels and volume and you can open the input list, the settings, or even the home menu. The controls serve as a D-Pad to navigate the interface without a remote and since you can open the home menu, you can do just about anything. If you need to launch the Home menu while you are in an app, press and hold the center button. To close the Home menu, do the same; press and hold the center button. We tested the 65" (QN65Q900RBF) version FA01/QRQ900B. For the most part, we expect our review to be valid for the 75" version (QN75Q900RBF) and the 82" version (QN82Q900RBF). There are three Q900 models: The Q900RA, Q900RB, and Q950. Q900RA is the 2018 model and doesn't include an HDMI 2.1 port, comes with a silver remote (just like the Q9FN), and was only available in 85" in the U.S. Since the beginning of 2019, it's been replaced by the Q900RB in the U.S. and by the Q950 in Europe. These models have a black remote, one HDMI 2.1 port, and a new panel supporting the 'Ultra Viewing Angle' technology. If someone comes across a different type of panel or if their Samsung Q900R doesn't correspond to our review, let us know and we will update the review. The 65" Q900R we tested was manufactured in Feb. 2019. Top left: Vizio P Series Quantum (PQ65-F1). Bottom left: Samsung Q8FN (QN65Q8FN). Middle: Samsung Q900R (QN65Q900). Top right: Sony Z9F (XBR65Z9F). Bottom right: Samsung Q9FN (QN65Q9FN). Unlike our other photographs, this picture wasn't taken under a controlled environment, so do not draw conclusions from it. The Samsung Q900 is a great TV. 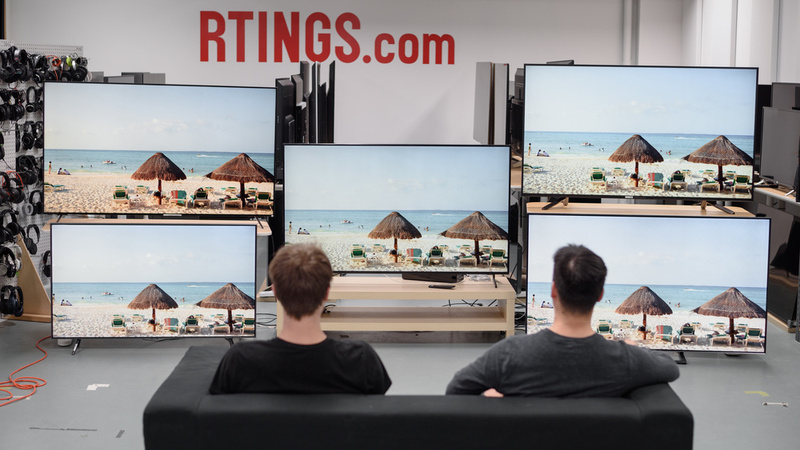 It is the first 8k TV we tested and has great local dimming and wide viewing angles. The Samsung Q9FN has similar overall performance to the Samsung Q900R. 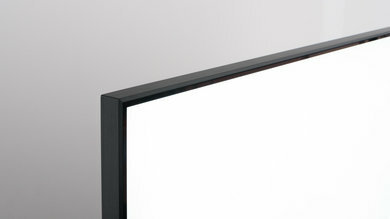 The Q9FN has better reflection handling, which is great if you use the TV in a room with many light sources. It also has a higher native contrast ratio that allows it to display deeper blacks in a dark room, which is great for movies and HDR. The Samsung Q900R, on the other hand, has an 8k display and the 'Ultra Viewing Angle' layer which gives it wider viewing angles. Also, the Q900R has a crisper image due to the faster response time and can remove judder from any source. These two TVs are different types and are better for different things. The LG B8 is better in a dark room due to the perfect blacks in all cases. The B8 also has wider viewing angles and is more suitable for a room with a wide seating arrangement. The Samsung Q900R has an 8k resolution and can get significantly brighter to fight glare, which is great for a bright room. It doesn't have the risk of permanent burn-in and supports FreeSync for tear-free gaming, making it a better choice for use as a PC monitor. The Sony Z9F and the Samsung Q900R both have very similar performance and both support a viewing angle enhancing technology. The Sony Z9F has better reflection handling and better gray uniformity, which is great for watching sports in a room with many light sources. The Samsung Q900R has a higher 8k resolution and wider viewing angles. 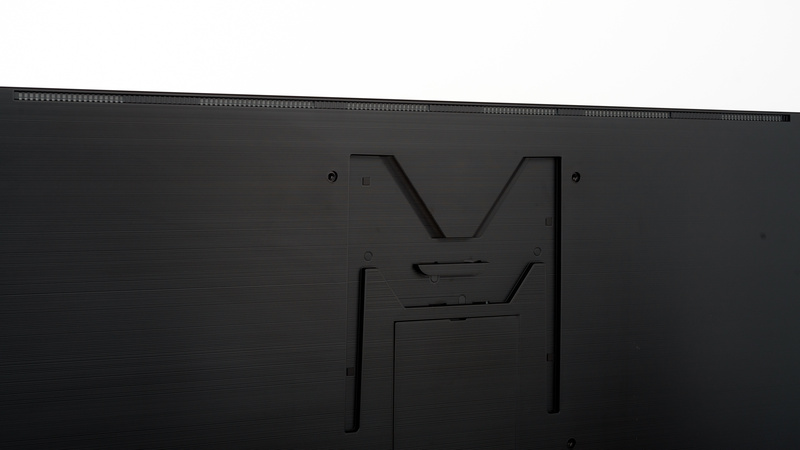 Also, the Q900R has a much better black frame insertion feature and supports FreeSync to ensure tear-free gaming with the use of compatible hardware. 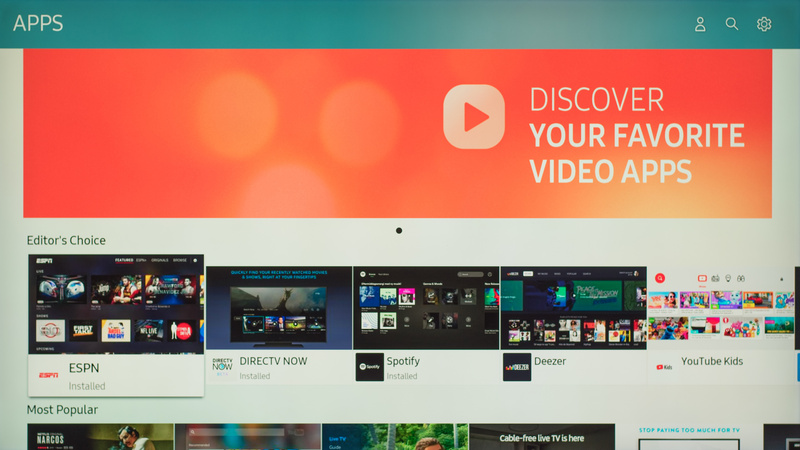 The Vizio P Series Quantum has similar overall performance to the Samsung Q900R. 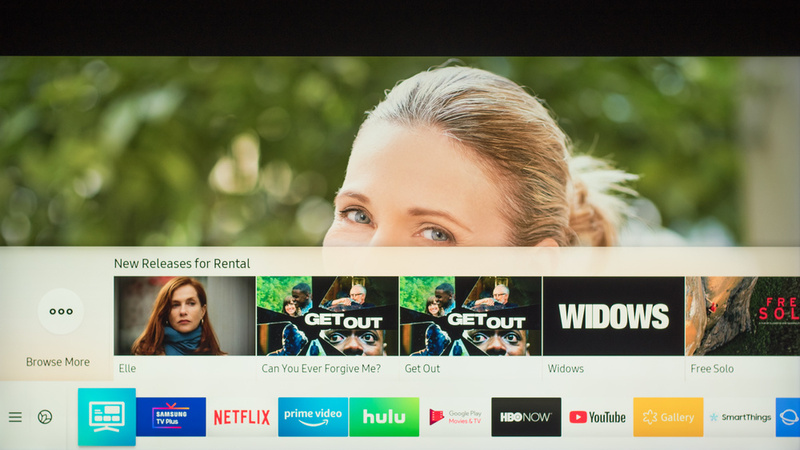 The Vizio PQ65-F1 has better reflection handling for a room with multiple light sources, and also better dark room performance, which is great for watching movies. The Samsung Q900R, on the other hand, has an 8k resolution and wider viewing angles thanks to the 'Ultra Viewing Angle' layer. The Q900R supports FreeSync and is a better choice for use as a PC monitor. The Samsung Q90R is a bit better than the Samsung Q900R. The Q90R can handle reflections better in a bright room and has a higher native contrast ratio that allows it to deliver deeper blacks in a dark room. The Samsung Q900R, on the other hand, has slightly wider viewing angles and supports 8k resolutions. The Samsung Q900 is an excellent TV for mixed usage. It has an impressive picture quality with good dark room performance that also remains accurate when viewed from the side. It has remarkable motion handling with very little motion blur and fast-moving content, like sports, is crisp. The input lag is very low and the TV responds immediately to your actions, which is great for gamers and those who will use it as a PC monitor. The Q900 is a great TV for watching movies. Although it can't display the deep blacks that most VA panel TVs can, it has a great local dimming implementation that allows it to greatly improve dark room performance. It upscales most common resolutions to 8k very well and has remarkable motion handling that delivers a crisp image. It can remove judder from any source and can interpolate older content to 120fps. This an impressive TV for watching TV shows. It has great reflection handling, although the 'Ultra Viewing Angle' layer creates a little more indirect reflections, while at the same time greatly improving the TVs viewing angles. It can get very bright and it is suitable for a bright room where it will not have any issues with glare. Upscaling from 720p or 1080p to 8k is done just as good as on the previous 4k premium Samsung models. The Samsung Q900 is a great TV for watching sports. It can handle reflections well and has a fast response time that allows it to display fast-moving content with minimal blur. It can get very bright, so you can comfortably place it a room with lots of ambient light and the good viewing angles, thanks to the 'Ultra Viewing Angle' technology, making it suitable for a room with a wide seating arrangement. Unfortunately, some sports fans might be disappointed at the amount of dirty screen effect the Q900R has. The darker areas of the screen will be visible when displaying a hockey arena or a soccer field. This is an excellent TV for playing video games. It has a remarkably low input lag in most resolutions. It is packed with gaming goodies like FreeSync support, auto low latency mode, and low input lag with motion interpolation (although not as low as without). The Q900 has a very fast response time, thus displaying a crisp image with little blur, which you can make even crisper by introducing flicker through the use of the optional Black Frame Insertion feature. The Q900 is a great TV for watching HDR movies. 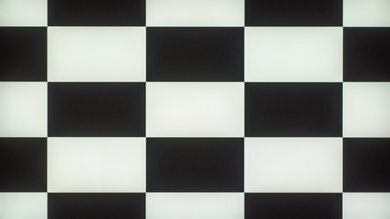 It has a good dark room performance mainly due to the good local dimming implementation and good black uniformity. The TV has a wide color gamut and can get very bright in HDR, thus HDR content is full of vivid colors and bright highlights. Although it is an 8k TV, it has no problem displaying 4k content very accurately. The Samsung Q900 has excellent HDR Gaming performance. The input lag is remarkably low when in HDR mode and this makes the TV very responsive. This, in conjunction with the fast response time, the good dark room performance, the wide color gamut, and the excellent HDR peak brightness allow the TV to deliver a great HDR gaming experience. 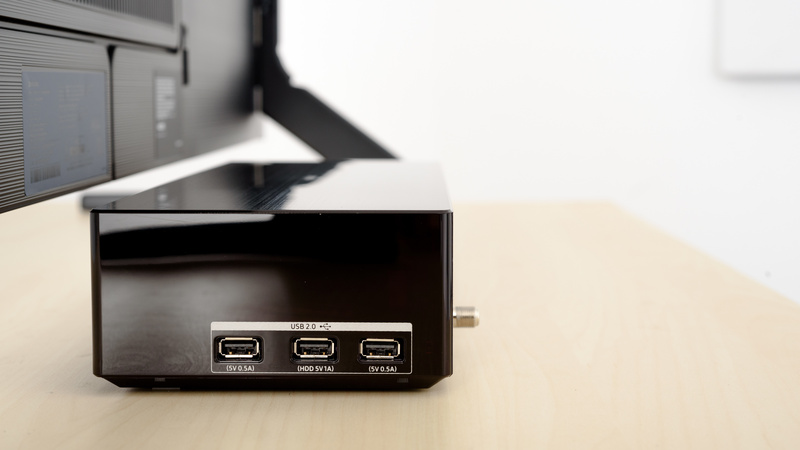 The Samsung Q900 is an excellent TV to use as a PC monitor. It has a multitude of inputs, a low input lag, and an excellent response time that make it very responsive. 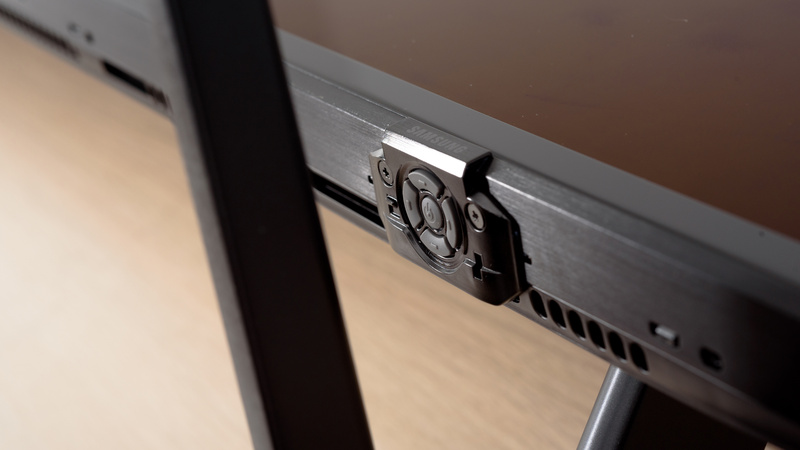 The great viewing angles, thanks to the 'Ultra Viewing Angle,' ensure that you will not experience uniformity issues at the sides of the screen when sitting up close. Since it is an LED TV, you should not worry about permanent burn and our unit showed no signs of temporary image retention.